Get trained by Daytona SX winner and multi-time champion John Natalie at EMF Days this April in Burley, ID. April 4th and 5th there will be racing, open practices for quads, SxS, and bikes, movies, food, camping and a John Natalie riding school. Bikes are welcome to attend the event, and bike classes will be added as necessary. The Natalie class will take place Friday April 3rd, registration for all ages/skill levels below. Space is limited! One of the toughest things about covering the rezoning of the Oregon Dunes, also known as the FEIS, is the fact that information has not been readily available. Instead, it’s slowly leaked out, from different sources, at different times. I have been scrambling to try to piece things together to provide the most accurate information. On top of everything, the original article was spreading like wildfire, and actually received so much traffic Pit Traffic actually went down for about a day. The ride has been crazier than a bad case of swap in the whoops, but things are under control. It’s time to get back at it, there’s a lot of catching up to do. Since the previous article was posted, we’ve learned a bit more about the reasoning behind the rezoning. According to Save the Riders Dunes, an organization dedicated to keeping the dunes open, the proposed changes are intended to fix the issues created by the 1994 plan. Many are unaware that a rezoning took place in 1994, because it never actually went through. Due to several factors, such as funding, the 1994 plan went through, but was never enforced. This explains why Banshee Hill is considered opened in the new plan. It was never supposed to be open, but it was never closed either. This is the case for many of the areas that they are proposing to close. The new plan was made to try to keep people happy while closing land that they wanted closed 20 years ago. However, it does not change the fact that the land has been open to public use for more than two decades, and there are still concerns with closing the land. TPQ says GET SOME of This!! Las Vegas NV (8/12/2013) GPS Offroad Products recently made the long trip to Winchester Bay Oregon to participate in the 2013 Oregon Dunefest. 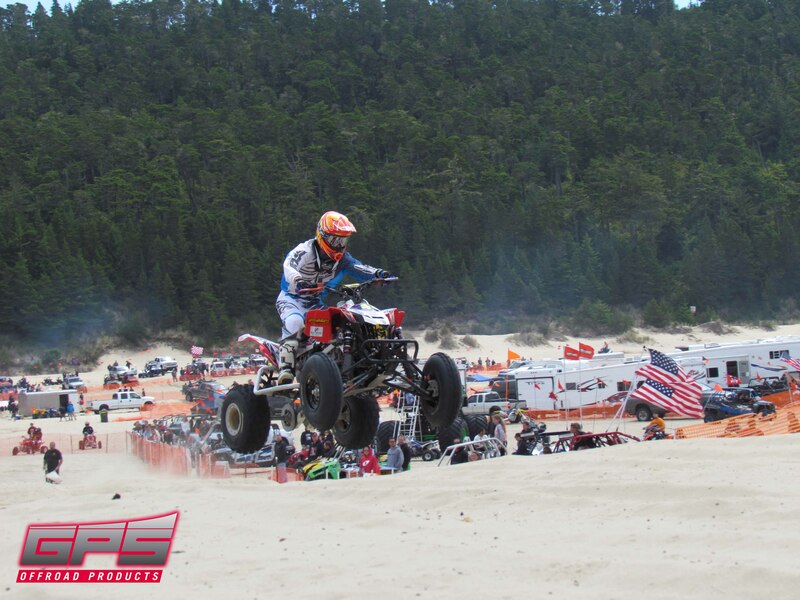 As the official tire sponsor of the Pacific Northwest’s largest ATV and Side by Side festival, the tire manufacturer made a big splash with sand enthusiasts from all over the country. Take a quick 30 seconds and name the top 5 sponsors of the series you run. Actually, just name any 5. Could you do it without cheating? Ok. Now of all the series sponsors , from which have you purchased a product? Any? Here’s where there is a problem. Riders are not supporting the companies supporting their series. And yes, I’m looking at you ATV racers. See all those sponsors supporting your racing? When was the last time you ordered from one of them or thanked them for keeping your series going? “Well I pay gate and race fees,” is ringing out right now in some of your heads, justifying your position. “Racing is expensive enough already,” and of course it is. But, for example, when a goggle company sponsors your series and you aren’t under contract with another company, why wouldn’t you buy their goggles? “I don’t like the fit,” “they are too expensive,” “I don’t need new goggles right now.” Those are all legitimate reasons, but are you going to say that for EVERY SERIES SPONSOR? And the fact they are expensive is irrelevant. Save $5 on a competing company that isn’t supporting your chosen race series, and what incentive does any company have to support what you want to do? Read moreWhy YOUR support matters.